I'm answering your personal finance questions today! The first in an ongoing series answering financial questions from my followers. Today I'm answering questions about budgeting, money making ideas, being frustrated while trying to get out of debt. The video and audio are not the best for this first effort. But you'll still get the great info you're looking for here. Looks like I'll be buying a better webcam and breaking out my good mic next time! Mediavine– This is the ad network I use on my Celebrating Financial Freedom blog. 00:01 I'm Dr Jason Cabler and today I'm answering your questions here on celebrating financial freedom. A few days ago I sent out an email to all my followers asking for, um, your most pressing financial questions. What are you concerned about? What's, what kind of problems are you having financially in your life that you really needed help with? And so I'm answering those questions this evening. This is the first time I've done this and hopefully make this into a regular feature on the website and on my youtube channel. And so hopefully it'll go over well and you'll learn something in the process. So right now we'll go ahead and get started and let's answer the first question and the first question is from memory and she says, hello. Thanks for giving me. Thanks for giving me this opportunity. My main financial problem is getting out of debt. I've accumulated huge debt over the years to the extent that it makes me fail to pay for my basic amenities. 01:05 I have been trying to get out of these debts, but every time I get frustrated in the dip just doesn't disappear. Okay. Memory. So the problem is, is sounds like you've got a lot of debt and you're just not making any progress with it. 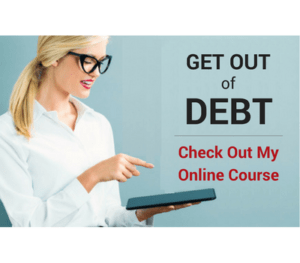 So it's very easy to get disappointed, distracted, um, feel like you're not making any progress when you're trying to get out of debt, especially when you've got a lot of them because it's, it can be real difficult to pay off a lot of debt. Is the Debt Due to a Lack of Income? So usually the problem is when you have a lot of debt like that is that you don't always have the income to really make a big dent in that debt and still be able to live and uh, that, that's problem for a lot of people because there are a lot of people out there that just don't make a big income and they get in a little deep, a little too far in over their heads when it comes to debt and, um, that can really cause problems because it just seems like you can never climb your way out. 02:09 Uh, but there is a way to do that and it can be done even if you have a low income. I've seen many people do it before and I believe I really believe you can do this too. So the first thing you have to do, the very first thing is you've got to get control of what's coming in and what's going out. And that means you got to be doing a budget every single month. They've written budget. You've got to tell that money where to go. And the way you do that is when you do a proper budget, it has to do. It's not looking back like that's what most people think of budget is. It's what did I spend last month? How much did I spend on lights, electricity, gas, food, all that stuff. And you look back at it and you say, oh, well, okay, uh, spent more than I'm a or I spent less than I made, or I spent exactly what I mean. 03:05 But when it comes down to it, that's not a good budget. Looking at budget that looks back doesn't do anything for you. 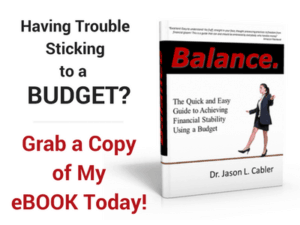 You need a budget that looks forward. And in order to do that, you need to spend all of your incoming money on paper before you spend it in the real world. That's what a really good budget does. It ensures that you are, that you absolutely have a plan for your money, you know where you're going to send it, and that's all you do. And so you see before you spend the money that you only have so much to spend on, let's say eating out in a restaurant or for gas or for car insurance or whatever. But it ensures that you never overspend, that you will never spend more than you make. Now, once you do that, once you have control of your money and you know where it's going and you know where you're going to send it every month, um, that helps you figure out, well, am I making enough money to pay off some debt? 04:16 Am I not making enough money? Am I just barely scraping by? And what you'll find when you do that kind of a budget is that when you, um, when you know where the money's going, you realized that you're wasting, in most cases, a lot of money. So when you start doing a proper budget, you actually end up with you. You find a lot of money in that budget that you didn't know you had because you're spending it on things and, uh, that, uh, you don't always realize that you're spending on and a lot of that money's just leaking away in small expenses. And when you get control of it, you feel like you got a few hundred dollars, a few hundred dollars raise when you start doing the budget. That's the first thing you need to do. And that will help you hopefully free up some money to start paying off some debt. 05:12Now the next thing you need to do that's going to help you also figure out that, um, whether you have any money actually leftover at the end of the month or not. So the next thing you can do, the next most powerful thing you can do when it comes to paying off debt is find a way to make some extra money. And when you make that extra money, you put it exclusively toward paying off that debt. That is probably in addition to the budgeting. That is the most powerful thing you can do because when you have money that you can dedicate toward paying off that debt entirely, that accelerates that debt pay off, it keeps you motivated and it, it helps you get out of debt and when you're a, you may have otherwise. one of the things I recommend for a lot of people is a detailing cars, uh, people like to have a nice clean car and you can make a pretty good job doing that. 06:43 I've seen people make a 70, 80, $90, $100 per car. I'm just detailing cars. You do a couple of those in a weekend and you do that every weekend and you've got a $800 bucks. She can go straight towards your dad. Huge man. That is, that's, that's a no brainer. Um, you know, it, uh, how much you can charge depends on where you're located, obviously. And uh, so that's just one thing. But, uh, if you have special skills like coding and you know a lot, there's a lot of people that know how to code these days and a lot of people need help with their websites. If you can, if you have that special creative skill, you can do that. 07:28 You just got to sit down and figure out what your special skills are, what things you could do that people might be willing to pay for it. And there is somebody out there that will be willing to pay you for it. And you can find that you can find them over the Internet. You can find them all over the place. The great thing about the Internet is that you have an international marketplace for your skills. It doesn't matter. It almost doesn't matter what you do. There's somebody in this world that has access to the internet, that wants the skill that you have. So sit down, figure out what that skill is on those skills are, and you'll find a way to start making some extra money. So what you do that you can really do a great job of paying down this debt and you'll get it paid off a lot quicker than you think you can get paid off. 08:30 I've seen people do this so many times and it amazes me how much just making even a little bit of extra money really excelled. Hey y'all and gets it done in no time. I have some resources on the website. The first is I've got a whole series on budgeting. I've got a whole page dedicated to with free budgeting forms. I'll put that in the show notes so you'll have that and um, uh, a link to that and you'll be able to access that and learn how to do a proper budget and have all the tools that you need to do that. So also, I've written a ton of posts on how to make extra money. Um, I've probably got it, Gosh, at least 30 posts on the celebrating financial freedom blog that will show you just dozens and dozens of ways to make some extra money. Some of them you can even build up to maybe even work that into a full time income if you like, and it's really just about how much you're motivated and now much work you're willing to do so you can check those out. And I will leave a link in the show notes to that. Also, it's, uh, I'll, I'll leave a link to a page that, um, will, has a link to every page that I have for moneymaking ideas so you can check that out. Um, got all kinds of great ideas there. So let's move onto the next question, what they'd get back here to the emails and go to the next one. 11:28 talk to with the last person memory is that a, you're probably going to need to find some ways to make some extra money. And as a students, um, you've probably got some time to be able to do that. Hopefully you're still, you're a Postgrad students. So I don't know, maybe not. 12:26 that's the best thing that I can tell you as far as how you're going to be able to pay for those tuition fees. Of course, you should also apply for some scholarships if there were any available and, uh, and even any government programs or anything like that that may aid you with your tuition. There are always programs out there that are willing to help so you can check that out and see what you come up with. But I'm just find any way to make money that you can probably at your university might be your best bet in order to, uh, to do that. So let's go to the next question and let's, let's find where rain. Let's see. So with , she wants to know how does the person track every single penny? Is there a simple method to do that? Does tracking your income just tracking your expenses to start with gross income or your net is have separate bank accounts for different budgets such as vacation, new car clothes, etc. It seems like I heard there's an online bank with sub accounts for such things to do that with . 14:18 So here's the deal wIth, when you track every penny, that's, that's how I recommend you do a budget. You don't have to do what. The way I usually do a budget is I round everything off to a dollar. So if I, let's say my paycheck is $5,000 for the month, I do a budget that equals $5,000. I don't do it down to the penny because that's just, that's just a little too much, you know, you don't have to put that fIne point on it. Um, so when I put my budget categories onto my budget sheets, uh, like for vacation, let's say $300, I'm not gonna, I'm not gonna put 300, $3 and thirty cents. So if my electric bill was $120 and forty nine cents, I'm just going to round it to $120. If it's above fifty cents, I'm going to run into $121. So I don't think you need to track every single penny, but, uh, just ramp things up or down as needed and that will get you a pretty accurate. 15:30 So that's the simplest method I knew how to do it. And that's the way I've been doing it for years and years now. And it works great. So you don't necessarily have to track every single penny and, but you'll want to do that. Should You Track Gross or Net Income? You asked us tracking start with your gross income or your net income. Well, it's the income that you have coming in to you to spend, so that'll be your net income. So there's no really, there's no real, there's no real reason to try and, and budget your gross income because there's money there that you can't and that goes to taxes and all that that your employer typically sends out to Taxes and all. So if you're self employed for, she'll do that yourself. Now that will be a line item in your budget, whether that'd be taxes and those kinds of things.16:24 But, um, that'll be part of your business planning anyway. Not really your personal budget per se. So now as you're talking about bank accounts, is it best to have separate bank accounts for different budgets such as vacation, new car? And. Yes, I think that's a good idea. There are online banks out there that allow you to subdivide it on account into sub accounts. So let's say you have a savings account that you put all your savings money into for let's say for your next car, for your vacation, uh, if you're, if you only pay your car insurance, let's say every six months where your car insurance money wouldn't go into there, you'd pay that, pay into that savings account every month and when It's time, then you'd pay that bill every six months. So that's a great way to do it. And I believe that there are, there are several banks out there that do it doing several online. 17:23 I'm pretty sure his ally bank a l, l, y, l I think that, um, that, uh, allows you to sub divide into accounts and even some traditional banks will allow you to do that now. And um, so I think, um, maybe cit bank does that as well, so you can check them out, see what they do, but that's a great way to do it. And you just break down your savings account into several mini sub accounts and have online, out, in, for vacation. You'll have vacation money in there. You'll have car money in there for your next car, a like car repair money, um, if you need to be putting back for car repairs, for repairs, for tires, for maintenance, oil changes, all those things that you normally do that shouldn't, that should not take you by surprise, even though they typically do if you're not doing a written budget every month. So just another good reason to be doIng a written budget every single month. So I hope that helps. And I'll leave some links to ally bank and cit bank and any others that I find that, uh, you can do sub accounts with and I'll leave that in the show notes for you. 18:42 So let's try one more. Let's see here. 18:52 So sean, she has a question, what are some money making ideas in order to build cash flow? And a separate question, how do you host ads for a blog? So let's start with the moneymaking ideas first. So there literally are hundreds, thousands of ways to make some money to build up your cash flow and that you can do in addition to your regular job. 19:55 so like I said in one of the previous questions, I've written a ton of articles on how to make some extra money about ways that you can make a part time income and even maybe build that into a full time income if you like. For instance, one of the most popular ones is amazon fba. And what that is, is a, it's a program by amazon fulfilled by amazon. That's the fba part. And it's basically where you buy products from a wholesaler, you have them shipped to amazon and you sell those products on amazon's website and they ship out the products for you. They handle all the back end stuff and you make the profits, so basically you're opening an online store where they amazon and letting them do all the fulfillment for you. It's an. It's a great way to not to to have a retail business without having to have all the items shipped to your house and you shift yourself and you have to package things all day long. 21:01 You have to have a garage full of inventory and all that. You don't have to do that with amazon fba and they do it all for you basically. So it's a. It's a very. It's an easy business to get into. It doesn't take a ton of setup and all it takes is a little bit of inventory on the front end. You don't even have to have a lot of inventory in the front end, just a few items to get yourself started and you can build from there. So that's just one idea and you can go to my money making ideas page. Again, I'll even link to it on the show notes and you can check some of those ideas out. And many of them are, very low cost to even some of them, no cost ideas, uh, to get started. So, and she also asked how do you host ads for a blog? 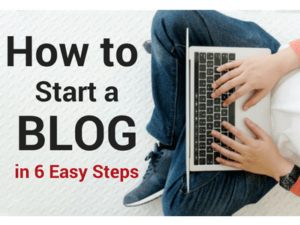 21:50 So, sean tell you, I don't know if you're a, if you already have a blog or if you're anticipating building your own blog, um, but, uh, the best way to get started with ads on a blog is to simply get google adsense. You sign up wIth google adsense and you can place ads on your blog that way, and adsense, google will serve up the ads wherever you place them on your blog. And it's very easy to do. You're not going to make a lot of money with it, uh, at first. And it takes a little time for that to build, um, but it will get you started with ads anyway. Uh, another way to do that is you can also sell display ads to businesses on your blog. And the way to do that is you can, especially if you are a very niche blog, um, you can find people that have businesses in that niche. 22:47 For instance, if You are, um, if you haven't done a blog on dog grooming a, let's say you can find number one, some of 'em, um, companies that sell dog grooming products and see if they will be willing to advertise on your blog as a display ad. And that's very easy to do. And you can set that up rather quickly. Usually most businesses already have some creative ads produced. Most businesses are advertising online at this point, so many of them heart have our ads already produced and you can just paste and copy and paste them up onto your blog. You're using. You can charge a monthly fee or yearly fee or something like that. Either way. And, uh, that works nicely. That takes a little more effort because you've got to a contact a lot of businesses and just find the right people that are willing to do that. that's the one I go with and they do a great job and you can make really anywhere from five to 15 times what you'll make with adsense, but you've got to have the traffic to do that. I thought, I believe their minimum is about 25,000 sessions per month for you to qualify for, but it's very worth it so you can work on building that traffic as well. 24:54 And I'll leave a link to media buying so you can check it out. And uh, I believe there's another one, right? Ads, unbeliever. It is. And there's a few more out there, but a mediavine and I believe thrive ads are two of the bigger ones to have the best ones out there. There's a newer one also called bloomly. I don't know what their qualifications are, but I'll leave a link to them as well. So. Well, that's all we've got for tonight. And, uh, what I want you to do, I hope you got. Hope you got something out of this tonight. This is the first time I've done an essay and I hope to do this more and more often. Uh, hopefully maybe once a week. Uh, as I get more and more questions in and let's see how this pans out. I would love to receive your questions if you are willing to ask me a question and tell me. And uh, I'll leave a link to that in the show notes as well so you can ask all the questions you want and I'll answer some of the best ones in the next video. In the meantime, go to celebrating financial freedom.com if you have, if you're, if you're looking for specific financial information, go there on the homepage if celebrating financial freedom.com. And I'm looking to do a search in the search bar and you could probably find what you need there. I've written hundreds and hundreds of articles that you can get the financial information where you can get the funding. Also sign up for my newsletter, sign up for the, um, you can sign up for my 10 day, master your money email course right there on the home page to scroll down about midway and you can check that out. So, all rIght, well I hope you've learned something from this. I hope I've helped you out in some way. If so, let me know, leave a comment, reply to this, reply to the emails, uh, however you get this information. Uh, I'll be looking forward to hearing. 27:39 Thanks a lot. Bye. Bye.